Found more on the Burnham Wildlife Corridor in Chicago. This is the second project of the Chicago Park District, who first worked on the west shore of Lake Michigan. They were addressing the need of about 300 species of birds migrating through the area. This newest corridor will address the south shore creating a 2.2 mile strip (103 acres). This "restoration" of land created by fill will be mostly with hardy oak trees which are great hosts for many species of caterpillars which will provide the resting birds with nutrients also. Since the project was started a couple of years ago, local residents have already seen a change and have spotted "more kestrels, hawks and warblers". 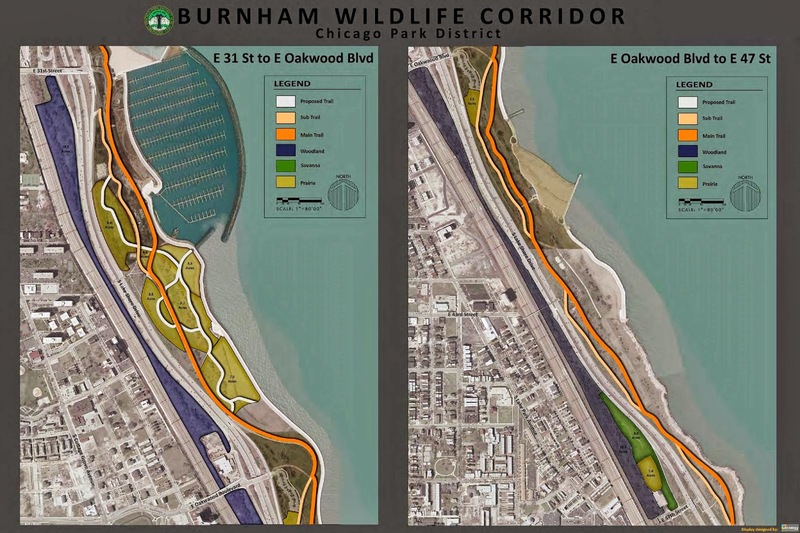 "Finding nature in a strip of land sandwiched by railroad tracks and Lake Shore Drive"
Labels: birds, Chicago, ecosystem/habitat, fauna, flora, insects, restoration, urban forestry, visit U.S.